Almond milk is a great alternative to dairy milk, however, if you have a nut allergy please avoid. It can be made in the comfort of your own home or bought in the local health store. All you need is a nut straining bag or cheesecloth and a blender to proceed. I picked up the straining bag (by Soaring Free Superfoods) and the almonds at the Fresh Earth Store, Johannesburg. The ingredients below make just under 1 litre and should be consumed within 3 days. It has a rich, creamy texture; heaven in a glass! 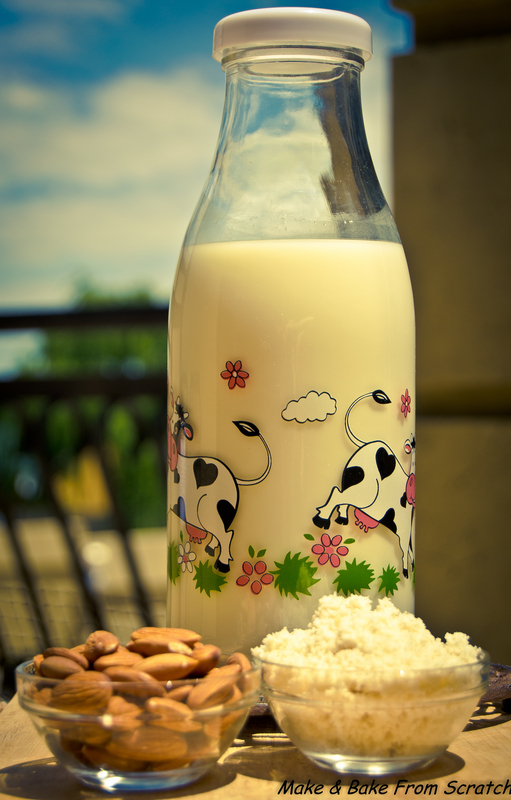 Almond milk is rich in calcium, delivering the same amount per cup as cow’s milk. Calcium is responsible for many intricate roles in the human body. Along with vitamin D, phosphorus and magnesium, calcium is needed to build and maintain strong bones and teeth. It also helps regulate blood pressure and is necessary for muscle contraction. Almond milk is vitamin rich providing you with vitamin A and E. Vitamins A and E are antioxidants which help protect the immune system. Soak almonds overnight in water. Drain the water the following morning. 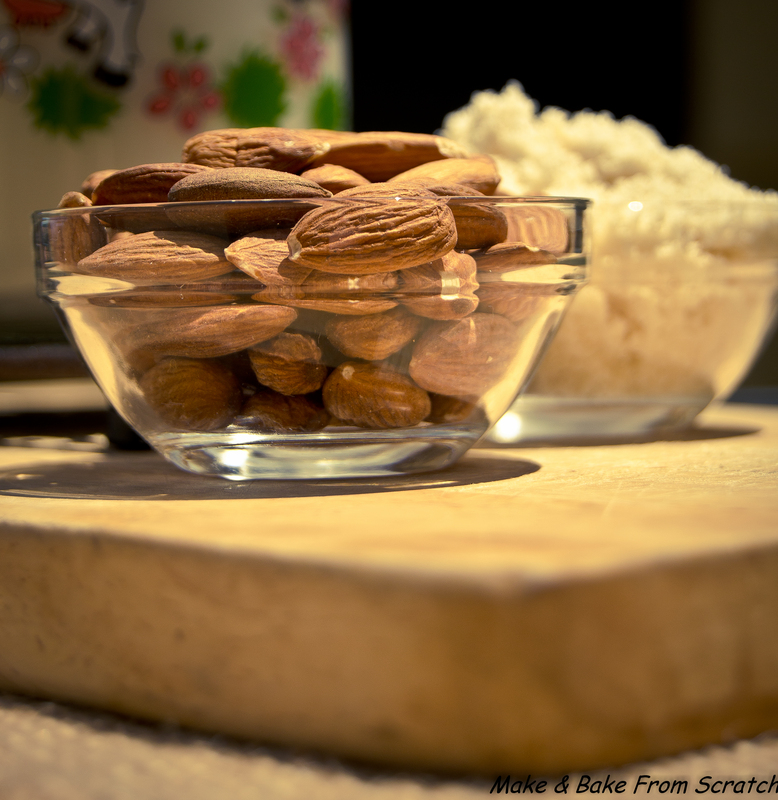 Place the almonds in the blender and add filtered water. You may need to do this in batches if you have a small blender. Once the mixture is smooth strain it through a nut milk bag. Pour into a glass jug and store in the fridge. If you don’t think you’ll use the almond meal immediately; store it in the freezer to prevent it from going rancid. The remaining pulp can be used in smoothies, pancakes, breadcrumb mixtures or cookies.